The Holmes Youthful Trainee Act (HYTA) is a Michigan law intended by the legislature to allow those persons between the ages of 17 and 21 to avoid the stigma and disability of a criminal record. The law allows for a judge to exercise their broad discretion in whether to allow the offender such special treatment. 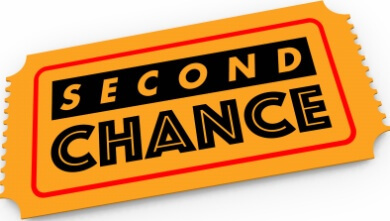 The idea being to provide a “second chance” for young offenders to avoid a conviction. Young workers can have their employment prospects destroyed by a “hit” on their background checks. Young offenders can earn a dismissal by successfully completing a period of probation. Who is eligible? Any person that commits a crime after their 17th birthday, but before their 21st birthday qualifies; the law automatically excludes persons charged with capital felonies, such as Murder or Criminal Sexual Conduct, First Degree. It also excludes major drug offenders and violations of the motor vehicle code. Driving offenses, such as Operating While Intoxicated or Reckless Driving, are not eligible for consideration. The law does not limit the number of times it can be used, but many courts will not allow the deferral to be used more than once as a matter of policy. Should an offender who is granted HYTA probation violate the terms of their probation, depending on the circumstances, they may have their special probationary status revoked. It is within the discretion of the Court as to whether the status should be continued, or revoked. Many times, judges feel that reoffending, or ignoring probationary terms is worse than the original offense. This is certainly a difficult position for a young person to experience. Oftentimes, the immaturity or lack of responsible behavior that brought the youthful offender before the Court cannot be easily overcome. In short, some will make it, and some won’t. Don’t take these matters lightly. On the bright side, if the youthful offender completes the terms of probation, the judge will dismiss all charges. There will be no conviction on their criminal record. In addition, the matter will be considered “non-public” and normally a standard records check will not disclose the status. Under these successful circumstances, a person can honestly state that they have not been convicted of a criminal offense. If someone you know is having trouble with the law, they need strong advocacy and direction. We believe in clients taking proactive measures to put them in the best position possible. Youthful offenders under the age of 21 need to consider the importance of maintaining a “clean record.” Call us. We can help!